What is faith nurture? How does it happen? Twelve experts share their perspectives on faith formation. Faith formation doesn't just happen—it's a Spirit-led lifelong process of shaping and reshaping. In this accessible anthology, twelve experts share their perspectives on faith formation at home, in worship, in education, in intergenerational contexts, in people with developmental disabilities, and more. Indispensable reading for pastors, church leaders, education committees, parents, and educators. 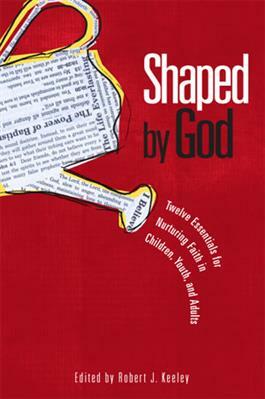 Includes a foreword by Timothy Brown, President of Western Theological Seminary. Other contributors include Holly Catterton Allen, Sarah Arthur, Elizabeth F. Caldwell, Erik W. Carter, Robbie Fox Castleman, David M. Csinos, Fred P. Edie, Syd Hielema, Robert J. Keeley, Kevin E. Lawson, Marian R. Plant, and Don C. Richter.